infrastucture has to support literally millions of records. 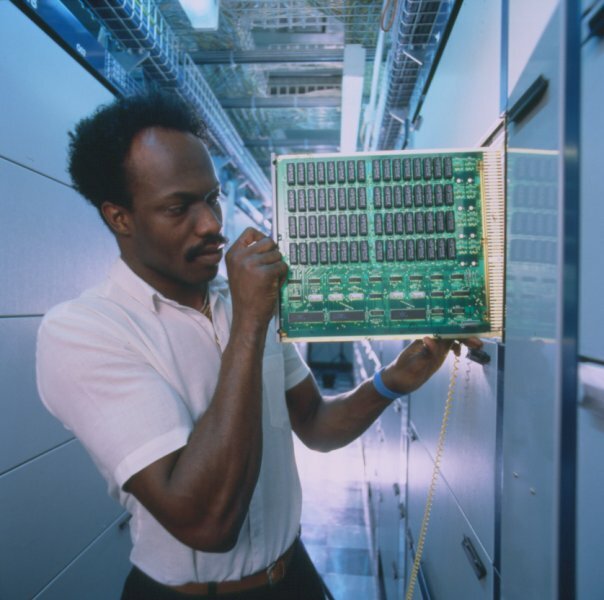 BT engineer working on digital telephone exchange, 1990. Image courtesy of BT Heritage.